The last 3 days were pretty tough, but now it's rest, rest, rest with gentler runs and less distance. I am now in the tapering period. On Friday I did lunchtime yoga. It was a good session and not overly tough, but still a good rigorous workout. Friday evening was Pilates and I could certainly feel the fact that I had done yoga earlier in the day. When I went to bed I was already starting to ache, but when I woke up on Saturday morning I was pretty much aching all over. Despite the aches I had my plan to follow so I got up bright and early and set off for my 32km run. On this occasion I didn't have so much time, as Anny and I wanted to go to Konstanz, so instead of running from Zurich to Rapperswil, I ran 16km towards Rapperswil and then turned round and ran back. The data from my Garmin watch is here http://connect.garmin.com/activity/77023937. As you will see if you take a look at the data, it was a pretty decent paced training run. I covered the 32km in 3 hours 4 minutes and 18 seconds. This time included a stop at Zurich HB to stock up on sports drinks and gels for the run, plus 2 toilet stops. The moving time is listed as 2 hours 58 minutes and 51 seconds. The average heart rate was in the desired training zone at 129bpm, but in the last hour I started to increase the pace and it rose to a maximum of 146bpm. 1) The lactate test predicted even faster than this, and that was a few weeks ago before I put in a lot of tempo and speedwork training. 2) I ran 5:35 pace on Saturday for 32km, but that was after a day of yoga and Pilates, and lots of previous training runs without a significant rest period. 3) Prior to the race itself I will be resting completely for at least 2 full days before, and will not be doing anything strenuous in the week before. 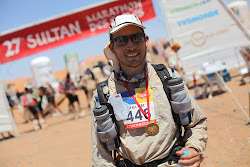 4) I only stopped after 32km on Saturday because I knew I shouldn't run more than 32km in training. 5) On race day I will be going all out in terms of effort compared to an estimated effort score of 7 or 8 out of 10 on Saturday. On Sunday I was wondering whether I had pushed it too hard during my long run, as it seemed like every muscle and joint in my body was aching. Anny and I had planned to go hiking, and although I considered calling it off and resting at home, I thought hiking would be a good idea in order to loosen up my muscles. We hiked for about 4 hours in total with a 30 minute jog in the middle. By the end my knee was definitely telling me it needed a break. Today is a new day and the aches are starting to go away. Tonight is a night of complete rest and tomorrow will be an hour of yoga at lunchtime, but no running. The next run will most likely be on Wednesday with my colleagues. I hope that my muscles will now fully recover, strengthen and reap the rewards of the last few weeks of training. If I look back at my blog it is only one month since I was able to recommence my running after physio for runners knee, and if I do achieve a sub 3 hour 30 marathon with only one solid month of running training I will be very happy indeed.